Royal Caribbean Cruises Ltd. released today its Sustainability Report, which documents the Company’s commitment to environmental stewardship and showcases improved efficiencies across its fleet. In the report, the company noted the expansion of its Advanced Emissions Purification program, as well as a new set of goals for the year 2020 that were established with input from the company's global conservation partner, World Wildlife Fund. 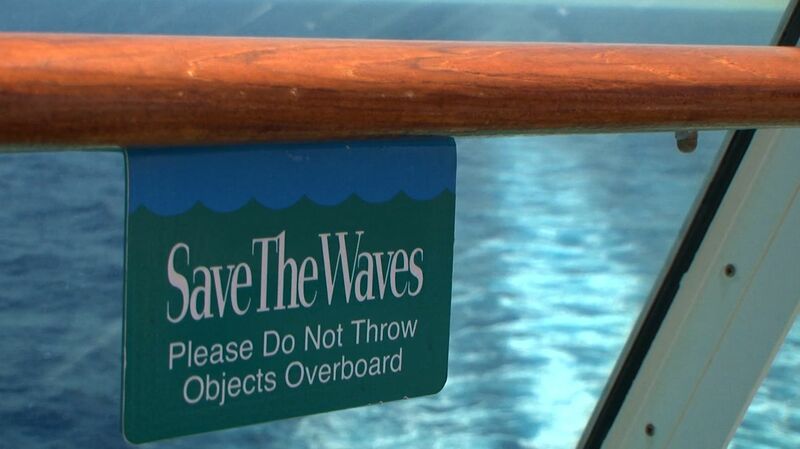 2015 marked the 10th-year of the Save the Waves program, which focused on emissions and waste reduction, as well as increasing the number of shore excursions that met an internationally recognized sustainability standard. In line with these goals, over the past decade RCL built its most efficient cruise ships and reduced its greenhouse gas emissions by nearly 25 percent. In 2015, 17 ships reported 100 percent re-purposed waste on certain itineraries. "At Royal Caribbean, we are working to put sustainability into the heart of our business," said Richard D. Fain, Chairman and CEO, Royal Caribbean Cruises Ltd. "We bring 5,000,000 guests to nearly 500 ports around the world every year, and we understand our responsibility to do so in a way that protects the oceans that we sail every day. Our mantra is continuous improvement, and that especially applies to our environmental performance." The full Sustainability Report may be viewed at www.rclcorporate.com/environment.